Maybe you’ve heard it mentioned in conversation, or maybe you have it – either way TMJ certainly doesn’t stand for “Too Much Joy”! 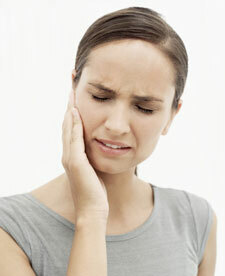 TMJ disorder is named for the temporomandibular joints it affects. If you’re experiencing face pain, pain when you open and close your mouth, pain when you chew your food, or “popping” sounds when you open your mouth, you definitely need to call us and come in so the dentist can have a look!